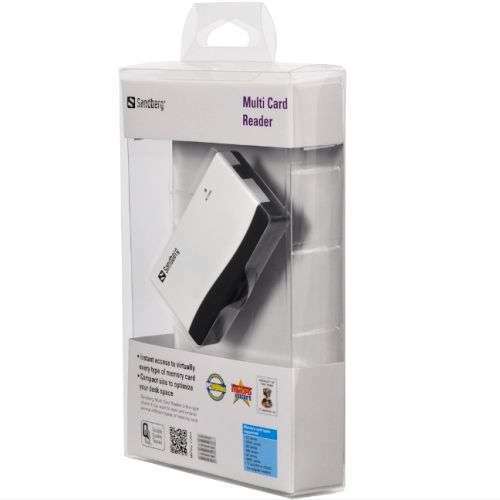 The Sandberg Multi Card Reader is the right choice if you want to read and write to several different types of memory card. With the card reader in the USB port you can read and write to a memory card just as you would to a hard disk. This allows you, for example, to see the images from your digital camera in a matter of seconds.